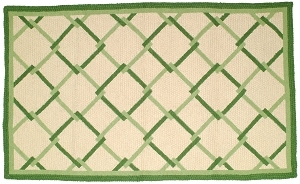 New hand tufted wool rug. This bright and vibrant geometric design is sure to pull together any room setting. Full of brown, green, red and blue. Made from 100% wool, with a cotton cloth back.